Lulupu - The Craft Lounge: It's COOKING time again! ;) Blog Hop 3! Pratiksha here today! This is my first ever blog hop and i am so so so excited!! Now time for some details on the Blog Hop ! How to join the blog hop? 3. Add the Blog hop Badge on right/left side top of your blog and link it back to this post. 4. 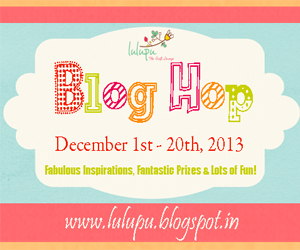 Blog about you joining the blog hop either as a separate post or in your participating post. 5. Please make sure you leave a comment on each designer’s blog and we ask that you leave a comment here as well to be in the running for the prize. The last stop on the hop will be back here at the Lulupu blog. Please leave your last comment here on this post as well, letting us know your thoughts on the fabulous projects presented by our talented designers. December 1st from 9:30 am IST to December 20th until 12:00 am IST. 7. There is a major twist to this blog hop - the participating blogs will post their BLOG HOP post any time between 1st and 20th December. So you will need to keep an eye on the following list through out ! 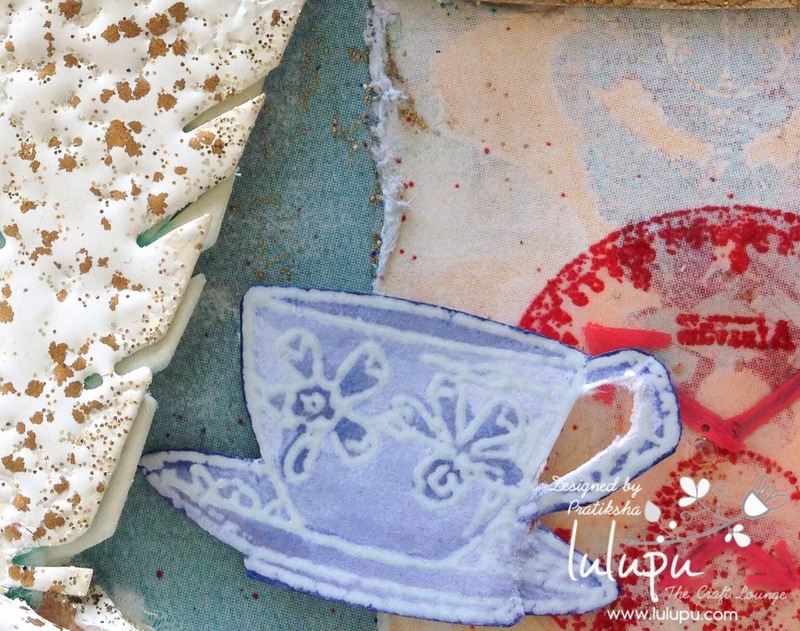 Hop on over to my blog to continue your blog hope journey!